Lenovo revealed the Vibe Z (K910) smartphone with 5.5 inch Full HD 1080p display at 400ppi. 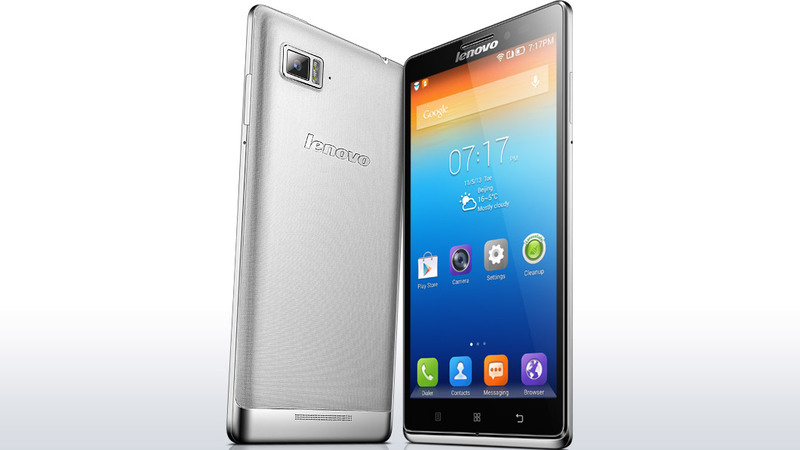 The handset is successor to Lenovo Vibe X that was announced at IFA 2013. The specifications and features of the device makes it a static competitor for high end devices like Samsung Galaxy S4, Note 3, LG G2, HTC ONE MAX and Sony Xperia Z1. 5.5inch Full HD IPS display. 2.2GHz Snapdragon 800 quad core processor, Adreno 330 GPU. 13MP primary camera with Dual LED flash and 5MP front facing camera. 1080p video playback and recording. 2GB of RAM, 16GB ROM, micro SD card slot for further expandability. 3G, WiFi, Bluetooth, GPS, micro USB port with OTG support, 3.5mm audio jack. Lenovo has not made any statement about the Vibe Z price and launch date.